Washing walls with light has become a whole lot easier. Before LEDs came along, you were pretty much stuck with track lights, using flood bulbs or recessed fixtures with reflectors and spread lenses to try and create an even illumination along a wide vertical surface. The final effect was okay but not great. There was always a bit of scalloping at the top of the wall where the beam spreads from the individual fixtures overlapped each other. There was also the option of using linear fluorescents or a row of festoon halogen/xenon bulbs. Unfortunately, you always saw the dark spaces in between bulbs. And as those little festoon bulbs began to burn out that wash of light started to look like smile with a couple of teeth missing. Now linear LEDs provide a much more effective and wonderfully even solution for setting walls awash in light. 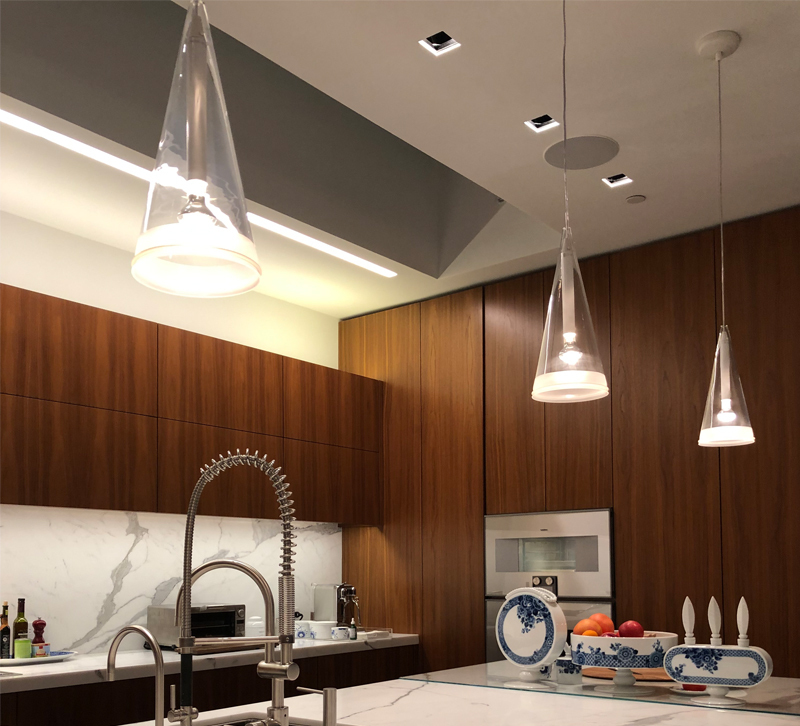 Manufacturers are offering extruded aluminum channels that can be recessed into the ceiling, tucked behind a drop ceiling detail or mounted to the surface of the ceiling itself. If you have a smooth wall then you will want a soft, evenly distributed pattern of light with a 35 to 45° beam spread. The lighting channel is installed slightly away from the wall. Alternatively, if you have a vertical surface with some texture to it, such as stone or brick, then you might consider using a wall grazer which is installed closer to the wall and pointed straight down. This product has a special lens that creates a 10° to 15° beam spread. Thereby, greatly enhancing the pattern of the building material. When choosing an LED linear source, do take a look at the color temperature and the color rendering index (CRI). I know you have heard this from me time and time again. The main reason is that with LEDs we have a lot more options now than we did with standard fluorescents and incandescents. LEDs and linear LEDs in particular have a wide range of color temperatures available. There are also a variety of CRI’s on the market as well. The products with the higher CRI are a little bit more expensive, but they are so worth it. If you are going to light up a brick or a wood wall, specify a color temperature in the 2400° Kelvin to 2700° Kelvin range. If you have a stone or concrete wall with cooler tones, then look at color temperatures that are in the 2700° Kelvin to 3000° Kelvin range. When considering color rendering index, as long you are at 90 CRI or above you are good to go. 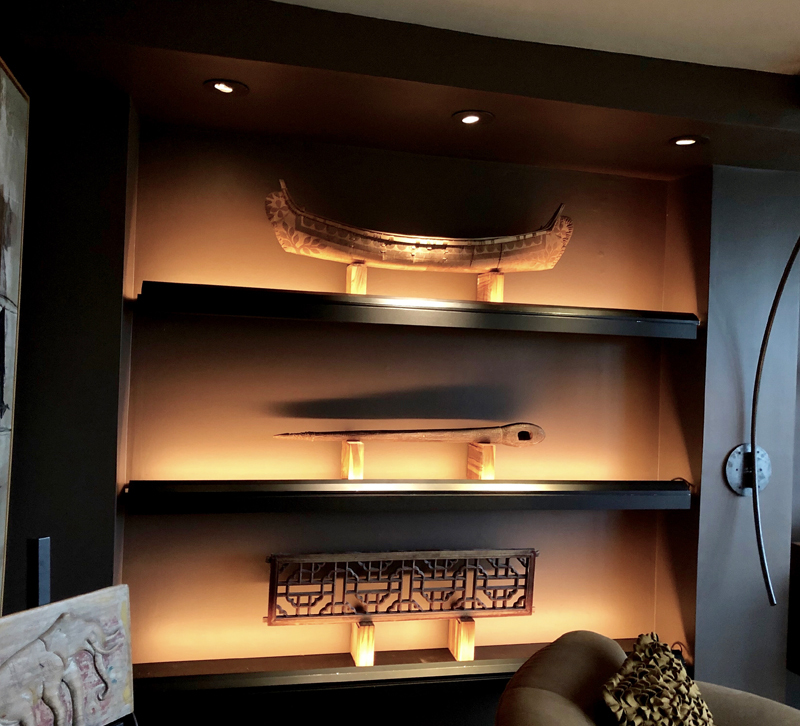 A wall with shelves can appear to be washed with light if there is a linear LED light strip mounted along the front face of each shelf. An extruded aluminum channel positions the run of diodes at a 45° angle. This channel is only 1 inch tall, so it visually disappears when finished color that blends of the shelving. Incandescent light is always 2700° Kelvin, which gets warmer and warmer in color temperature as you dim it. Note: Okay, there is an exception to this statement. Halogen, which is incandescent, has a color temperature rating of 3000° Kelvin, but like all incandescents gets warmer in color temperature, as it is dimmed. The color rendering index always stays at 100. Fluorescents have a few colors to choose from, but they are all pretty terrible. Their CRI’s hover between 75 and 80, which is pretty bad. 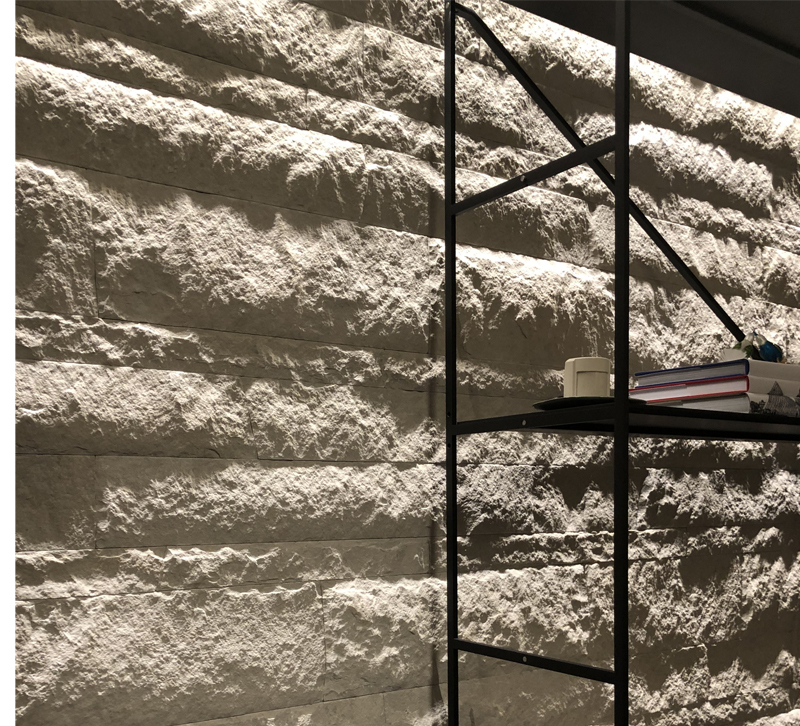 A wall with shelves can appear to be washed with light if there is a linear LED light strip mounted along the front face of each shelf. An extruded aluminum channel positions the run of diodes at a 45° angle. This channel is only 1 inch tall, so it visually disappears when finished color that blends of the shelving. 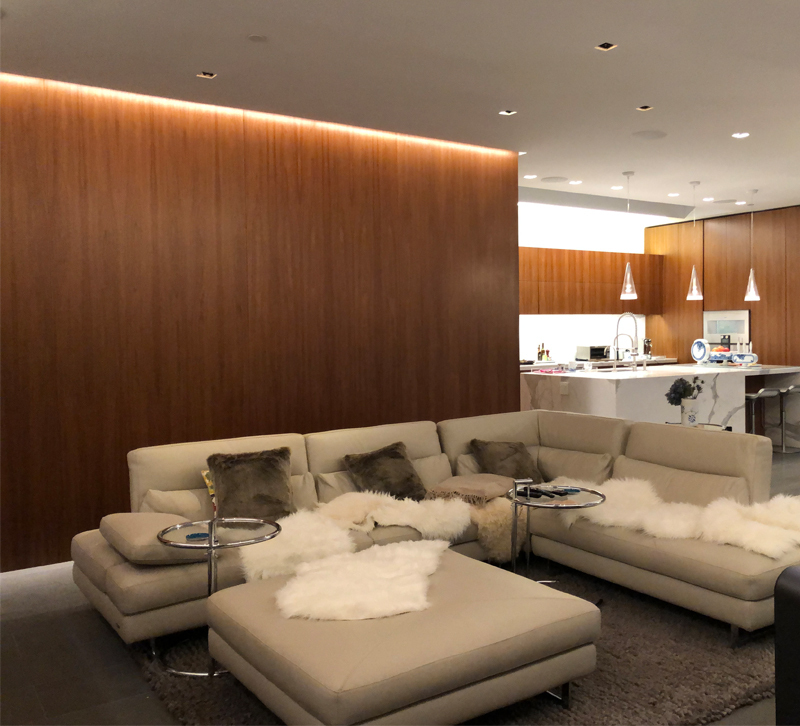 The bottom line is that LEDs have given us the ability to add lighting in very subtle and architectural ways. Their low profile and long life make them easy to install, while being energy efficient and low maintenance same time. Take a look around your house and see where you might improve your illumination situation.